When the cooler, yet mild, temperatures roll into Virginia Beach, we prefer to heat things up a notch. With spectacular sunsets, an array of incredible wildlife and smaller crowds, the splendor of a VB winter is ripe to discover. While the crowds may be smaller on the sand, however, space begins filling up quickly beneath the water’s surface, come the winter months. This is the peak season for some of our most popular visitors, after all, and they know how to have a whale of a good time. We like to say that whales enjoy hanging out in our waters during the cooler seasons because it’s their home away from home. When the severe chill of the polar regions, where they spend a majority of their time during the remaining months of the year, gets to be too much to bear, they come visit us. And who can blame them? You can join in on the fun on one of the many whale-watching cruises offering opportunities to see these magnificent creatures first-hand. 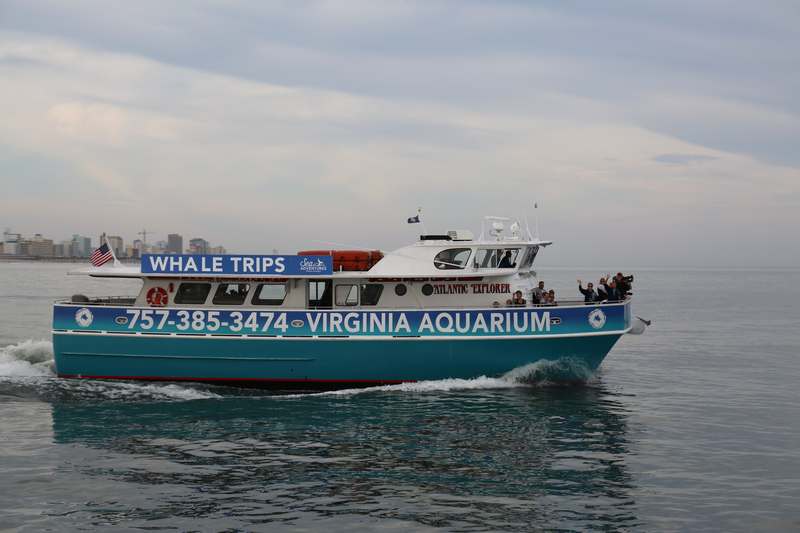 Book a Rudee’s Winter Wildlife Whale-Watching Cruise or hop aboard a Whales & Wildlife Sea Adventure at the Virginia Aquarium to be led on an educational expedition along the Atlantic coast, searching for whales, dolphins, seals and a variety of species of birds. You never know what you might see, so make sure that your camera is always ready! Because whales migrate based on water and air temperatures, it’s difficult to determine the best time for whale-watching. 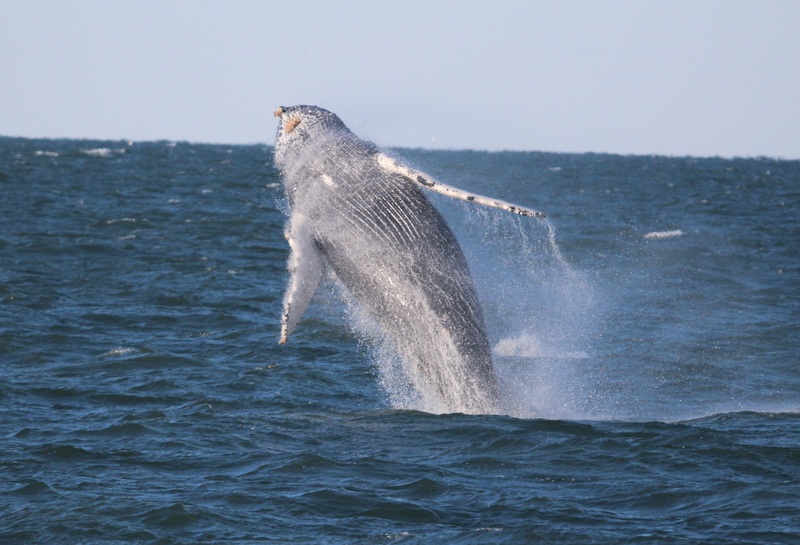 While the prime months for sightings are typically January through February, whales have been spotted in large numbers as early as December. Give Rudee or the Virginia Aquarium a call to see if they’ve spotted any whales yet. It’s true that if they’ve already been spotted for the season, you’re more likely to see them on an excursion – they like to hang around with each other! If you are lucky enough to capture one of these stunning animals on camera, let us know by sharing your photos on social using @visitvabeach!